Reece operates retail outlets combined with warehouses. 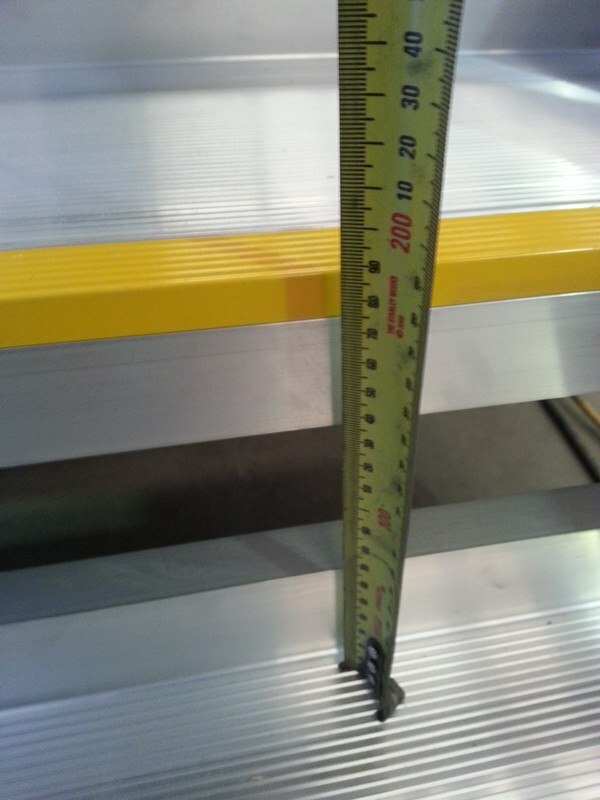 Defender™ staircases are installed leading to the mezzanines in the back house. 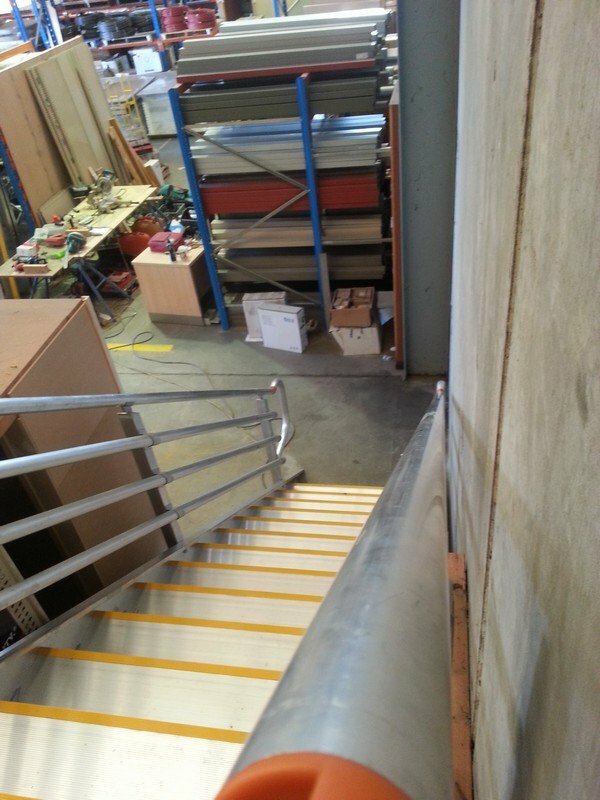 The staircases meet the requirements of the BCA and can be used for emergency egress as part of the essential safety measures. 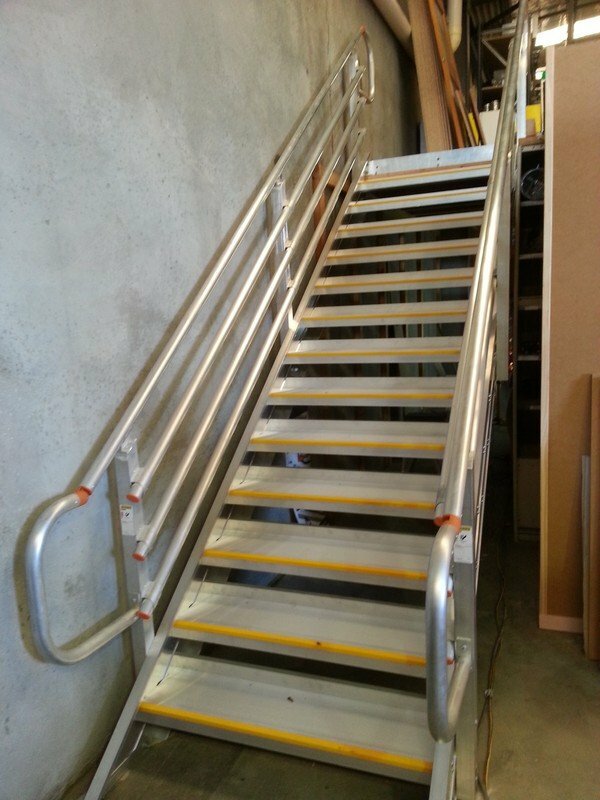 The Defender™ staircases are fabricated offsite from standard components. 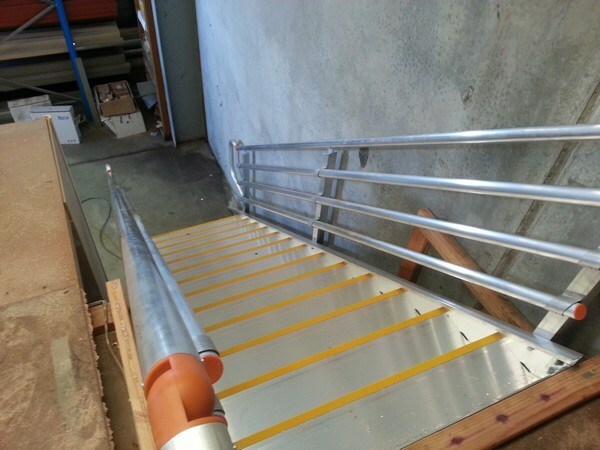 The staircase is fabricated from lightweight aluminium which suits installation in a trading environment. The system also consisted of a sliding roof access hatch, hatch surround with hand grab-bars for access and egress from the roof, and leveled walkways leading to the air conditioners.